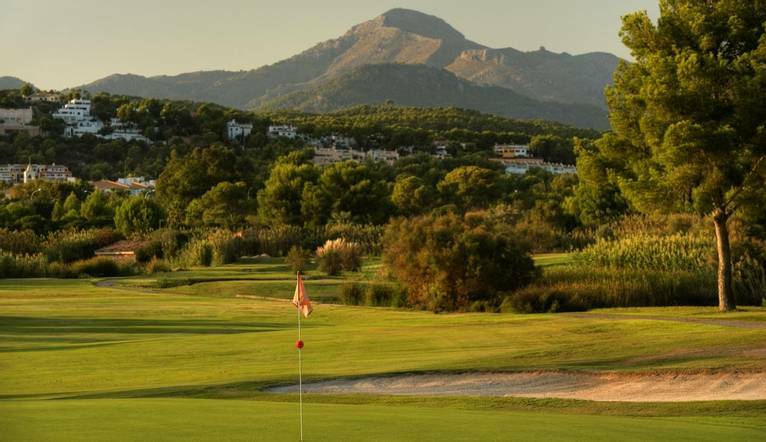 New to Solos for 2019, golfing in Mallorca! We stay in a centrally located hotel in Santa Ponsa and play golf on three different courses, all of them not too far away from our hotel. Mallorca offers a great destination for you to play golf on excellent courses. Our hotel is well placed within the resort of Santa Ponsa and its local amenities, and provides a friendly atmosphere to relax in when you're not playing golf. Golf Santa Ponsa I covers an area of 73 hectares and is a long course with lakes and a great variety of trees. It appeals to all kinds of players thanks to the wide fairways and the tees where long hitters will enjoy themselves! Hole 10 is one of the longest Par 5s in Europe. Son Vida is the oldest course on the island and has twice been the venue for the European Tour. There are many established trees and views around the bay of Palma. The 18th hole is something special with a Par 5 over its magnificent lake. This highly varied course combines sea views with a beautiful pine valley. Its undulating terrain makes for an attractive and enjoyable game, played against the backdrop of Bendinat Castle. Many holes are dog-legs and the course is built around a steep valley. Although quite short in distance and wide open in places, this is a tricky course to negotiate, but extremely rewarding to play. Approximately 40 minutes subject to traffic conditions. Most golf clubs have these items available for hire; however this is not always the case, so clients would be advised to check with us beforehand if they have any specific requirements. Golf Shoes with Soft Spikes. Golf attire during the day, we suggest smart casual for the evenings. We suggest a Group Collection to cover transfer drivers, and hotel staff of €15.00 per person. Your Tour Leader will collect this on your behalf and distribute it accordingly, thus relieving you of the burden of who, when and how much to tip. The tipping of housekeeping will be left to your individual discretion (a small amount left in your room on departure should cover this and would be much appreciated). As is customary, ‘the hat’ will be passed around for the driver and guide on all optional excursions. For any meals that are not included in your itinerary, or taxi fares, your Tour Leader can advise of an appropriate amount.